Jenkins is a tool that allows us to build and deploy many different types of applications automatically. In this tutorial, I will summarize the instructions of Huong Dan Java about Jenkins so that you can use it to deploy your CI/CD system. In this tutorial, I will show you how to install Jenkins using Docker. In this tutorial, I will show you how to install Jenkins on Ubuntu. In this tutorial, I will show you how to install Jenkins using war file. To interact with Git systems, we can install Git plugin in Jenkins to do this. In order to build Maven projects, you need to install the Maven Integration plugin to do this. In this tutorial, I will guide you all how to install SonarQube Scanner plugin in Jenkins. 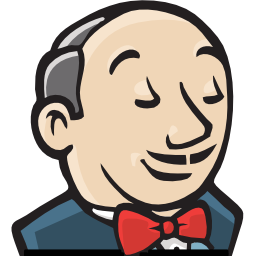 To build Java projects in Jenkins, we need set up JDK information. In this tutorial, I will show you all how to configure Apache Maven in Jenkins to build Maven projects. In this tutorial, I will guide you all how to build Maven project in Jenkins. In this tutorial, I will guide you all how to use the feature Build with Parameters in Jenkins. In this tutorial, I will guide you all about how to archive the artifacts in Jenkins. In this tutorial, I will guide you all how to deploy artifacts into Maven Repository in Jenkins.